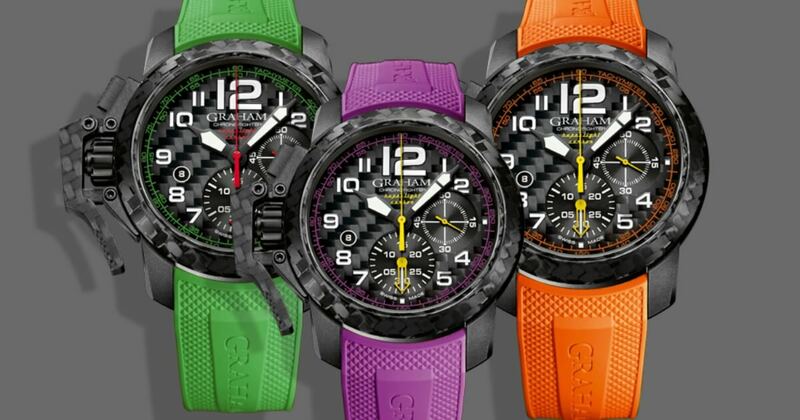 The strong Graham affinity with motor racing is more than skin-deep. Sponsorship of the Brawn GP Formula One team from 2009 to 2011 preceded partnerships with the Swiss Porsche Cup, the Isle of Man Tourist Trophy, the Baja 1000, the GT Asia Series, the Spengler Cup, Silverstone circuit, the Swiss Gurnigel Hill Race and the Club Porsche Romand. 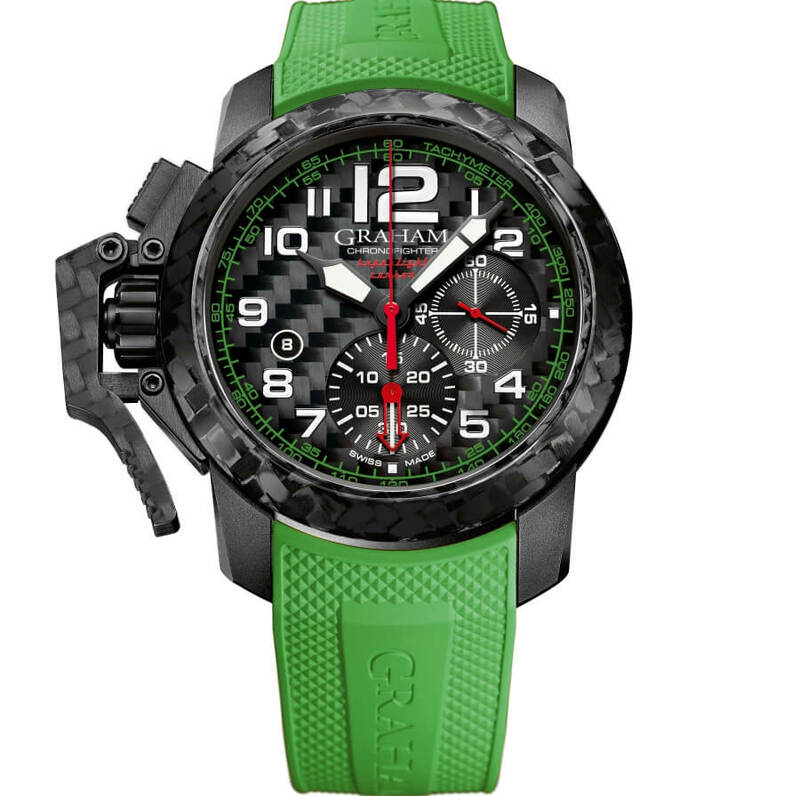 The combination of carbon, a pillar of contemporary racing car prowess, and the head-turning tyre colours, accurately reflect these watches’ intrinsic union of appearance and performance. Unlike with the tyres, the straps’ functionality is weather-independent so their robust rubber composition is constant. It goes without saying that none of these pieces is for “softies”. 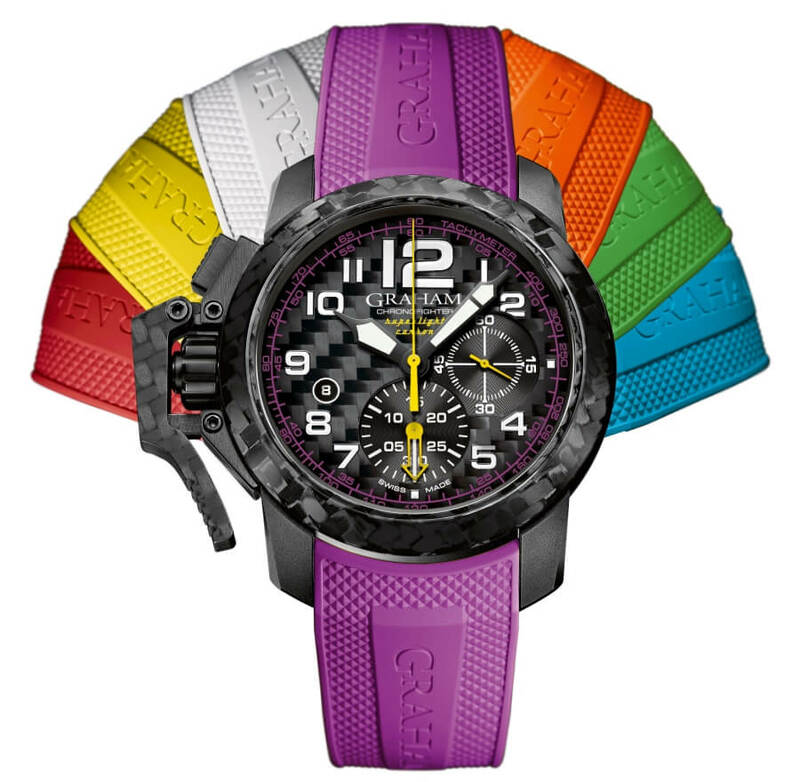 Orange conveys anticipation, green action, and purple asserts itself confidently as the new red. With their integrated “Clous de Paris” pattern, these stylish, bold attachments are as out there as a pace car. 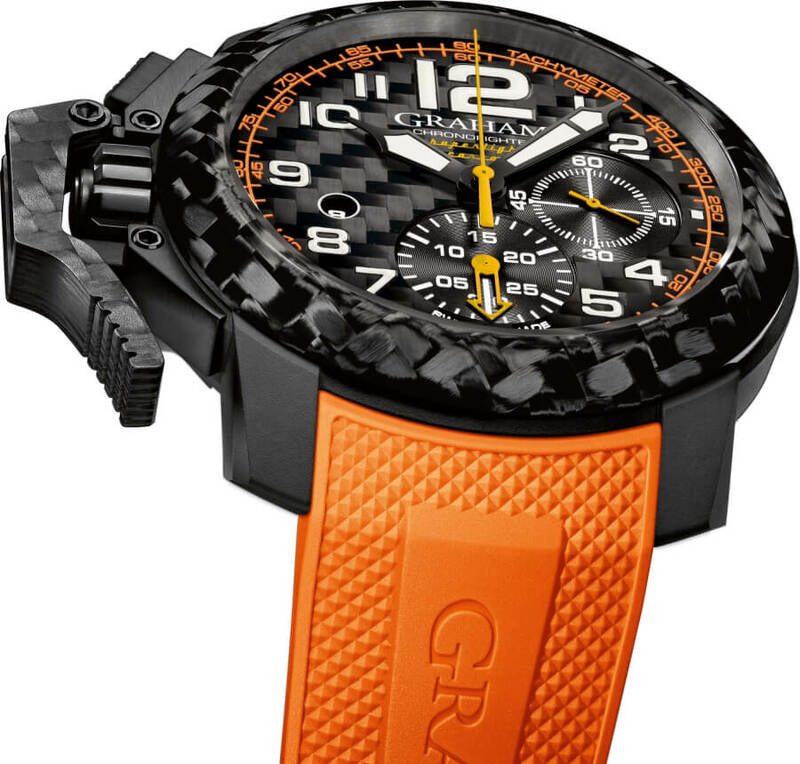 The price for the Graham Chronofighter Superlight Carbon is CHF 9,900. 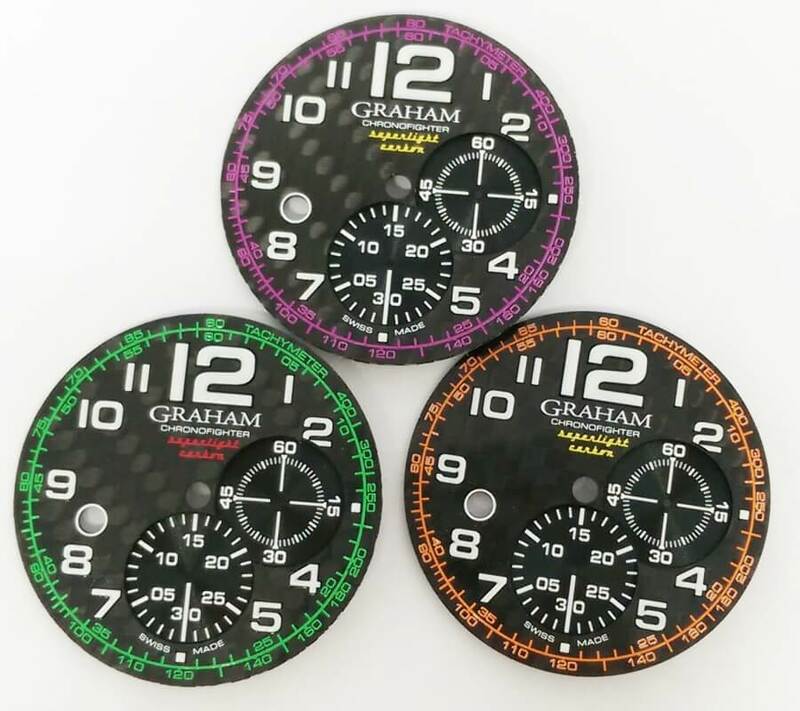 For more visit Graham Online.